Friend of zenpundit.com, T. Greer of Scholar’s Stage had an outstanding post on the implications of Indian power relative to an increasingly aggressive China. It’s one of the better pieces I have read on the topic in some time. Now that the affair in Doklam has come to a close, analysts of various stripes are trying to make sense of what happened and what lessons can be learned from the episode. One of the smartest of these write ups was written by Oriana Skylar Mastro and Arzan Tarapore for War on the Rocks. They’ve titled their piece “Countering Chinese Coercion: The Case of Doklam,” and as their title suggests, Dr. Mastro and Mr. Tarapore believe the strategy employed by the Indians in Dolkam can be generalized and should be deployed to defend against Chinese coercion in other domains. They make this case well. I agree with their central arguments, and urge you to read the entire thing without regret. From the perspective of the United States, Japan, South Korea, Taiwan, Australia, and the other redoubts of freedom that string the edges of the Pacific rim, the rise of the Indian republic is a positive good. We should do all we can to aid this rise. Here both the demands of moral duty and the exacting claims of realpolitik align. I’ve phrased these ideas with more strength and moral clarity than the dry and jargon laden language of professional policy normally allows, but the sentiment expressed hits close to how most D.C. politicos think about the matter. The rightness of a rising India is a bipartisan consensus. Far less thought is given to what shape that rise should take. This is not something we should be neutral on. The contours of India’s rise matter a lot—not only for them, but for us, and ultimately, for all who will inherit the world we will together build. It might seem a bit grandiose to claim that the future of Asian liberty depends on the procurement policies of India’s Ministry of Defence… but this is exactly what I am going to try and convince you of. Greer gives very pragmatic advice to American policymakers courting India as to reasonable expectations and to the Indian defense establishment as to where Indian defense dollars would give PLA generals the greatest fits. This is sensible as both groups are likely to overreach: America too quickly pressing India for defense commitments it can neither afford nor politically digest and India seeking a naval contest with China for nationalist prestige at the expense of other critical defense needs. China will build its own cordon sanitaire against itself by the relentless bullying and interference in the internal affairs of all its major neighbors in the Pacific Rim, friendless other than for two rogue state clients, Pakistan and North Korea and impoverished Cambodia. Our job is to assist China’s neighbors, including great powers India and Japan, in accelerating their acquisition of the military capacity to resist Beijing’s coercion; if it is less than an East Asian NATO, that’s fine. What matters is a robust counterbalance that has to be reckoned with in Beijing’s calculus. The quote in brackets at the head of this post, totally impractical as a guide to realpolitik, is from the Gospel according to St Matthew 16.26. …..McCain’s words echo those spoken by Secretary of Defense Ash Carter last week to the graduating midshipman at Annapolis. Read them both. Compare what they say. Behold the quickly crystallizing American narrative on China. This is a bipartisan message. It will be the starting point of a President Clinton’s policy. Whether a President Trump will endorse it is hard to say. In either case, it is a narrative whose momentum is building. There is much that is good in this narrative. McCain proclaims that “no nation has done as much to contribute to what China calls its “peaceful rise” as the United States of America.” He is right to do so. No nation has done more to enable China’s rise than America has. No country’s citizens have done more for the general prosperity of the Chinese people than the Americans have. This is true in ways that are not widely known or immediately obvious. For example, the role American financiers and investment banks played in creating the architecture of modern Chinese financial markets and corporate structures is little realized, despite the size and importance of their interventions. Behind every great titan of Chinese industry—China Mobile, the world’s largest mobile phone operator, China State Construction Engineering, whose IPO was valued at $7.3 billion, PetroChina, the most profitable company in Asia (well, before last year), to name a few of hundreds–lies an American investment banker. I do not exaggerate when I say Goldman Sachs created modern China. China has much to thank America for. However, I cannot endorse all that is included in this emerging narrative, for part of it is deeply flawed. The flaw may be by design; if the purpose is to stir cold hearts and gain moral admiration of others, such flaws can be excused–that is how politics works. But this sort of things can only be excused if those delivering the speeches do not take the implications of their own words seriously when it is time to make policy. I speak of China’s “choice.” The thread that runs through all of these talks is that the Chinese have yet to choose whether they aim for order or disruption, the existing regime or the chaos beyond it. The truth is that the Chinese have already chosen their path and no number of speeches on our part will convince them to abandon it. They do not want our rules based order. They have rejected it. They will continue to reject it unless compelled by overwhelming crisis to sleep on sticks and swallow gall and accept the rules we force upon them. China has made its choice. The real decision that will determine the contours of the 21st century will not be made in Beijing, but in Washington. T. Greer, in my opinion is correct but this is not a message Beltway insiders are wont to harken – making strategic choices is for lesser nations. America is so rich, powerful, unipolar, indispensable, exceptional that we can pursue all objectives, in every corner of the globe, without choosing between the vital and the trivial. We can do this even if our goals are contradictory and ill-considered or serve manly as a prop for domestic political disputes, the business interests of political donors or career advancement of apparatchiks and politicians. We can safely delay and indulge in fantasy. If this was true once, it is less so today and will be still less twenty years hence. ….Last spring it finally sunk in. Chinese illiberalism not only can endure, it is enduring. The old consensus cracked apart. 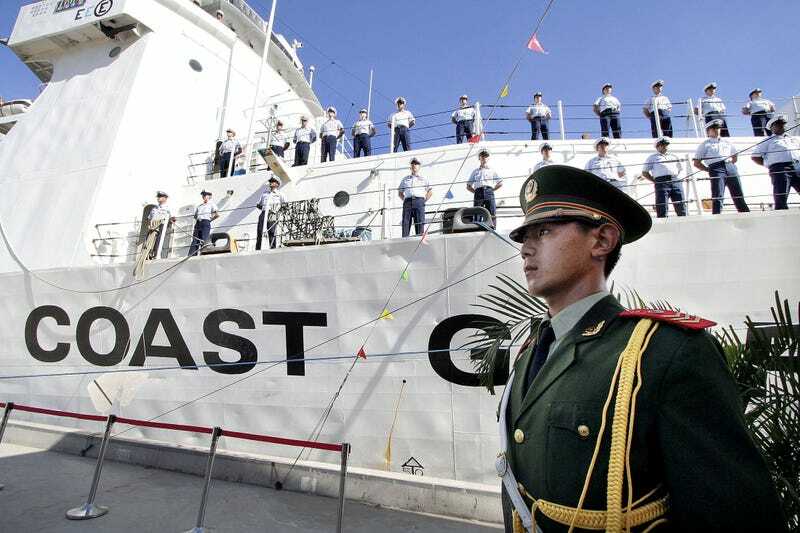 No new consensus on how to deal with China has yet formed to take its place. But old habits die hard. We see this at the highest levels of policy, as in the McCain speech, where American policy is justified in terms of giving China a chance to choose the right. The same spirit is invoked further down the line. Ash Carter, for example, recently described American tactics in the South China Sea as a “long campaign of firmness, and gentle but strong pushback… [until] The internal logic of China and its society will eventually dictate a change.”  In other words, American policy is a holding action until China sees the light. What if they never do? ….In simpler terms, the Chinese equate “rising within a rules based order” with “halting China’s rise to power.” To live by Washington’s rules is to live under its power, and the Chinese have been telling themselves for three decades now that—after two centuries of hardship—they will not live by the dictates of outsiders ever again. The Chinese will never choose our rules based order. That does not necessarily mean they want to dethrone America and throw down all that she has built. The Chinese do not have global ambitions. What they want is a seat at the table—and they want this seat to be recognized, not earned. That’s the gist of it. Beijing is not willing to accept an order it did not have a hand in creating. Thus all that G-2 talk we heard a few years back. The Chinese would love to found a new order balancing their honor and their interests with the Americans. It is a flattering idea. What they do not want is for the Americans to give them a list of hoops to jump through to gain entry into some pre-determined good-boys club. They feel like their power, wealth, and heritage should be more than enough to qualify for automatic entrance to any club. Richard Nixon, who was the external strategic architect of China’s rise in order to use China as a counterweight against an increasingly aggressive Soviet Union, faced a similar situation that Greer described above with the Soviets. Nixon’s détente summits with the Russians were diplomatic triumphs where LBJ’s summit at Glassboro with Kosygin had been a failure because Nixon shrewdly understood Soviet psychological insecurity, a deep sense of paranoid inferiority and the hunger for respect as a superpower equal of the United States. Leonid Brezhnev, Kosygin’s ascendant rival was desperate for this American political recognition and Nixon and Kissinger played this card (along with the geostrategic shock of the China opening) to wrest concessions in arms control and restraint (for a time) in Soviet behavior from Brezhnev. Playing this card is not possible with China. While there seems some emergent rivalry between China’s prime minister Li Keqiang and China’s President Xi Jinping that loosely mirrors the Kosygin-Brezhnev dynamic, the analogy is otherwise a poor one. Despite sharing Marxist-Leninist DNA in their institutional structure, China is not at all like the Soviet Union in terms of culture, history or ambitions. The Chinese not only lack the national inferiority complex that drives the Russian psyche, they suffer from the opposite condition of a superiority complex that outstrips their actual capacity to project military or even economic power. This has given rise to popular frustration and manic nationalism in China, with bitter recriminations about “small countries” and “hegemonic powers”. 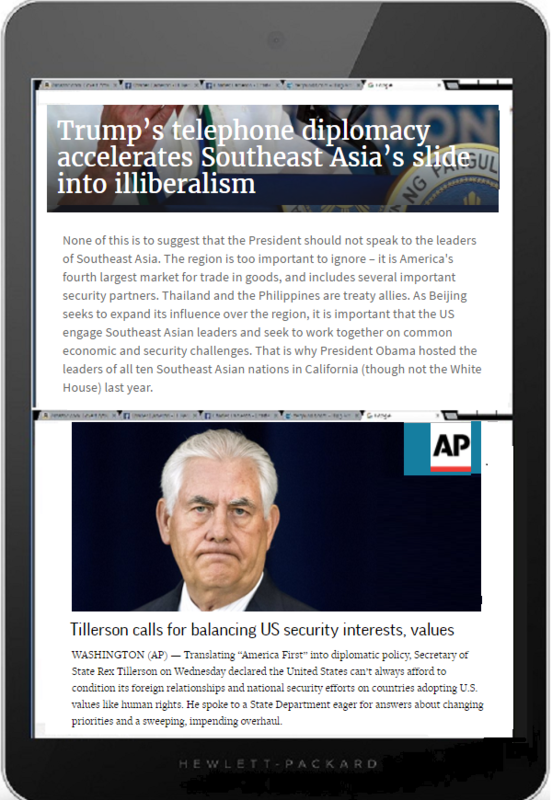 It also has created a strategic lacunae where China has in a short span of time gone from enjoying good relations with most of the world to a state of habitually irritating almost all of its neighbors and periodically threatening two great powers – rising India and Japan – and one superpower, the United States. In short, China already is as T. Greer argued, a committed revisionist power. We cannot buy off or bribe China. Unlike Brezhnev who needed American credits for his domestic economic program to cement his place as supreme leader, Xi Jinping has carried out a ruthless purge of the party and government under the pretext of an anti-corruption drive. Xi does not need or want our help in his domestic squabbles. Nor would he or another Chinese leader be content with symbolic gestures of Beijing’s “parity” with Washington. “Parity” will not satisfy Chinese leaders unless it comes with attendant symbolic humiliations for America and an American retreat from Asia. Forever. If American leaders do not wake up to this reality and do so quickly then it is time for a new leadership class with less sentimentality and clearer vision. The summer of 2015 for me is becoming memorable for the diversity of the books making it into my queue through unexpected circumstances. 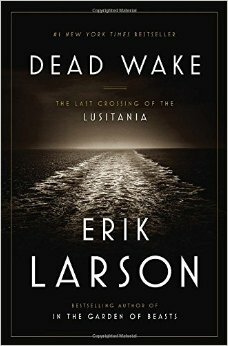 Larson’s Dead Wake was an surprise gift from a neighbor familiar with my professional pursuits. I read “Wake” in two sittings and it is superb. Larson puts faces on the victims, and highlights the politics from both sides of the Atlantic, to include the German U-boat commander responsible for the sinking. This tragedy reads like a novel and is wicked good. Last year my son turned me on to the feed of @GSElevator on Twitter. I would have never read this book had I not become a fan of Mr. Lefevre’s decidedly politically incorrect sense of humor. With over 700k followers on Twitter he created an instant potential market and I bit. 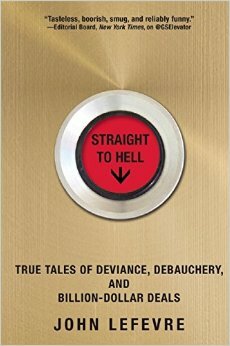 Straight to Hell is an entertaining irreverent look at the top of the banking profession, and is not for the faint of heart—and very funny. 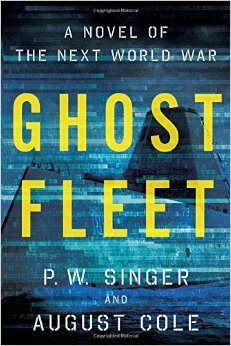 Ghost Fleet is one of the most anticipated techno-thrillers in recent memory. Singer and Cole have spun a good yarn of how a future world war between the USA and China/Russia. While the book is a page turner, the authors thankfully sourced their technology assertions in 22 pages of notes! A great resource for a very good book. One could quibble over lack of character development, but this book is driven more by technological wizardry and is a fun and instructive read. Fate of Man was recommended either at a blog or in blog comments—I don’t remember. 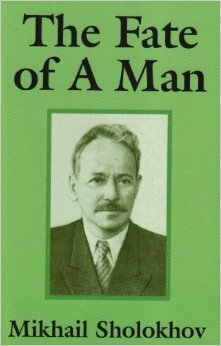 This tiny but poignant book (it is more a bound short story) provides the reader with a glimpse of the hardships and sacrifices in Russia post WWII. Torture and suffering on a scale foreign to 99.9% of those living in the modern Western world. BACH was a birthday gift, and I would like to report I have finished Gardiner’s masterpiece, but that may take some time (I’m at page 330). 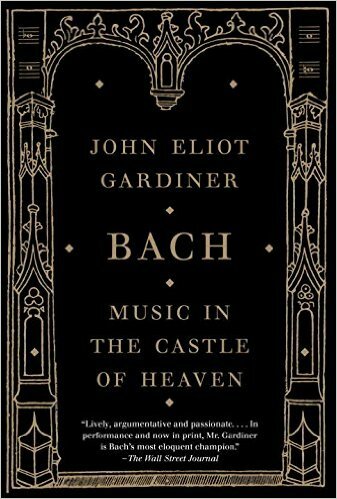 Gardiner shares insights on JS Bach’s life and music, and while I have over forty Bach recordings in my iTunes account, this lovely book is introducing a massive body of Bach’s cantata work—over 200 and I’m unfamiliar with most. My method has been to read Gardiner’s description of the piece, then find a recording on YouTube. Unfortunately, Gardiner does not discuss one of my all-time favorite Bach Cantatas Ascension Oratorio BWV-11 (the last five minutes are simply divine). 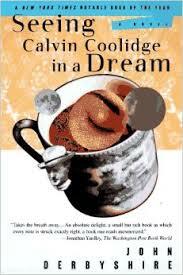 Finally, the Calvin Coolidge book came to me via CDR Salamander in a Facebook thread. As a fan of Coolidge and Derbyshire, I grabbed a copy and I’m glad I did. Derbyshire has written a sweet and insightful story of love, betrayal, and redemption, all the while providing the reader a frightening description of China’s cultural revolution. My China study continues, adding Edward Rice’s Mao’s Way, along with CAPT Peter Haynes’ Towards a New Maritime Strategy: American Naval Thinking on the Post-Cold War Era—-both are thus far very good. Also thanks to a friend, I recently spent some quality time with the late master naval strategist, Herbert Rosinski’s The Development of Naval Thought. This is my third or fourth pass through a very good little book. If naval strategy holds any interest, this little book is not to be missed. Are you reading any unusual titles? Just like boats full of Jewish refugees in the 1940s, the Rohingya refugees are met with callous indifference & turned away to die.